Building great relationship with your followers on social media is very important. Twitter is very powerful social network for brands. Connecting and engaging with your fans on Twitter brings out the best results in business. One such strategy of building this relationship with followers is “automated direct message to new followers on Twitter”. Introducing your followers with your offerings in this first welcome message is the first step to build this relationship. Your followers would come to know that what they will get in return if they continue to follow you on Twitter. There are many tools and apps in the market which allows you to send this first direct message. However, some are paid and some give miserable results. So is there any free and better solution? Yes there is. You can send automatic direct message to new followers on Twitter for free using Crowdfire app. Lets see how you can set this up. Step 1: Go to Crowdfire app website and sign up with the Twitter account that you want to associate. Step 2: Authorize the app with the necessary permission to handle your Twitter account. Step 3: Open your Crowdfire app dashboard and click on Automate from the left drawer menu. Step 4: Add your direct message under DM Marketing option. 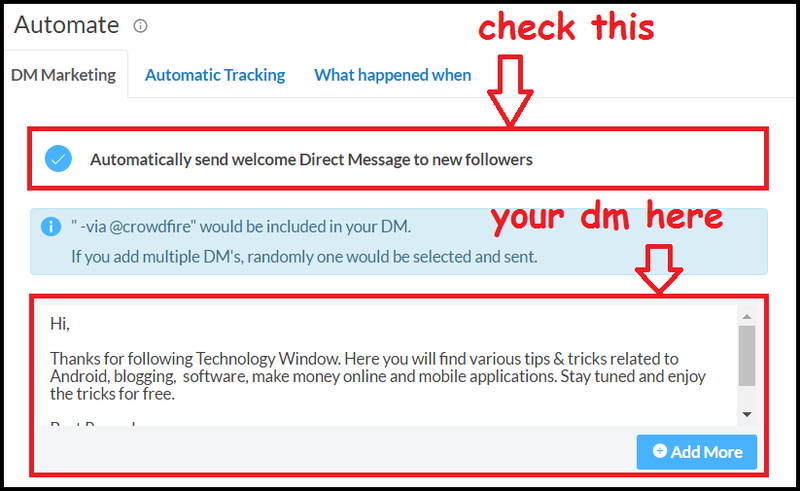 Don’t forget to turn on the option “Automatically send welcome Direct message to new followers”. One can add multiple direct message in order to sound different every time. The app will automatically use different direct message for every new follower. How cool is that now? The app lets you do other tasks too. You can check who all are not following you back out of all the accounts that you are following. Apart from this you can check your recent unfollowers and followers too. This app allows you to search for hashtag or keyword so that you can connect with like-minded people. You can also follow other’s followers by simply typing the twitter username of the account. So overall all these options take care of growth of your twitter account. One can also integrate Instagram account in the same account. However, automatic direct message to new followers on Instagram is not allowed with this app. Just like scheduling posts on Facebook profile, this app also allows you schedule posts on Twitter and Instagram. 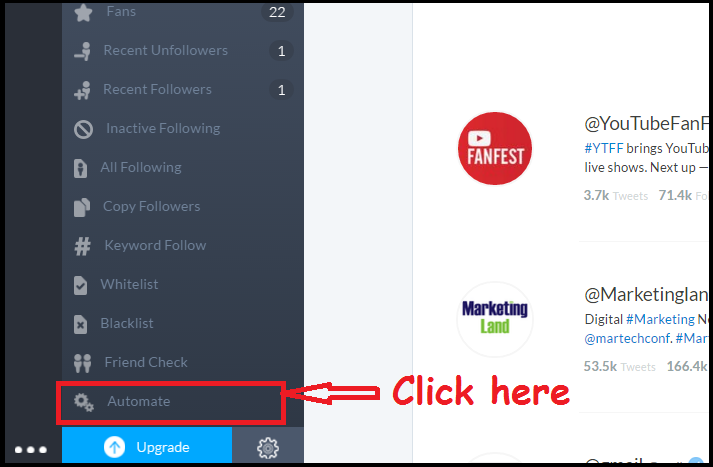 For this you will have to click on publish option of the Crowdfire app and then you can select either Twitter or Instagram or both to schedule posts. To schedule a post on Instagram, you will need an image. However, you can continue posting to Twitter without an image. The app also has a Chrome extension which also schedules posts for you. 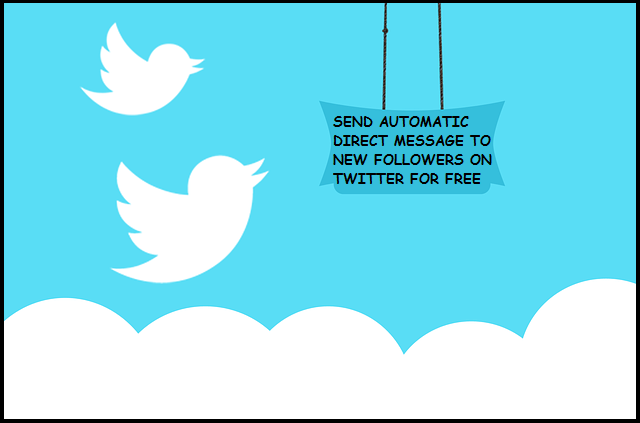 Thus, Crowdfire app allows you to send free automated DM to new followers on Twitter. Considering rest of the features, one can say its no less than any other social media management tool for Twitter. To test this feature now, you can follow us on Twitter.